Logo Bean Plant, your logo appears on the leaves! This amazing bean is a real plant. Just add water and the bean will start sprouting in 7 days. 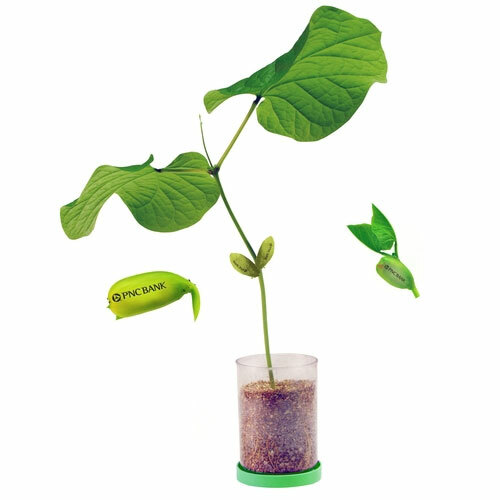 What is neat is that your logo will appear on the Logo Bean Plant itself. Your logo will hang around for about a month, which the plant will continue to grow if taken care of. This product is printed in China, once your artwork is approved, the order can not be canceled.